When creating your guidebook, it can sometimes be useful to create a link from one card or section of the guidebook to another. 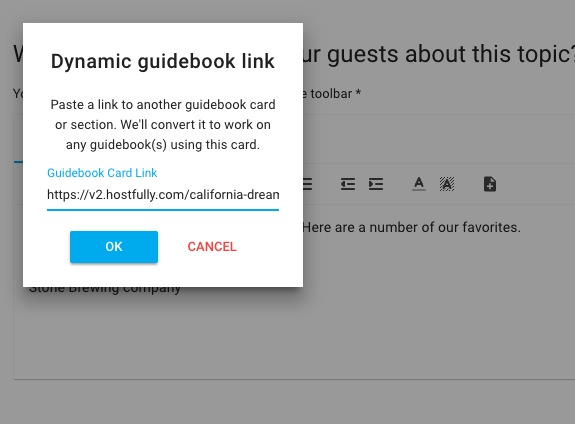 This works fine, but gets rather complicated when you're managing multiple guidebooks and the card that you're linking to (or from) is on multiple guidebooks, as a link directly to a card also brings the viewer to that card on a particular guidebook. 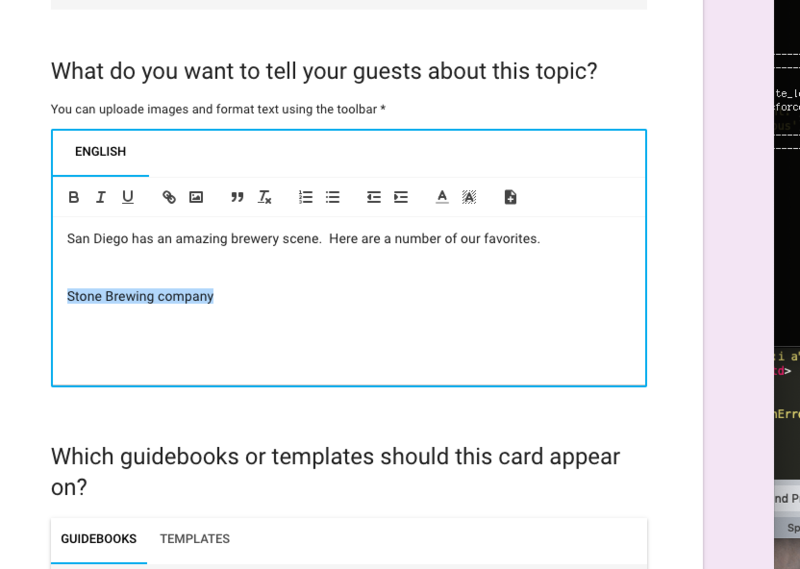 We now have a feature in the rich text editor (hereafter referred to as the WYSIWYG, for what-you-see-is-what-you-get) that will let you make better links from one card to another without worrying about which guidebook the user happens to be viewing at the time. Then click the new icon for "Dynamic Guidebook Link"
Paste the link and click "OK"
the result will appear as a "shortcode" in your rich text area and will not look like a link right away. The trick is, this card can be on multiple guidebooks and the links the guests will see will always point to that card on the guidebook they are viewing. The card or section being linked to needs to exist on any guidebook where the card being linked FROM is assigned. Links to Arrival, House Manual, or Departure cards will not work if a guest is viewing the recommendations-only version of guidebook. 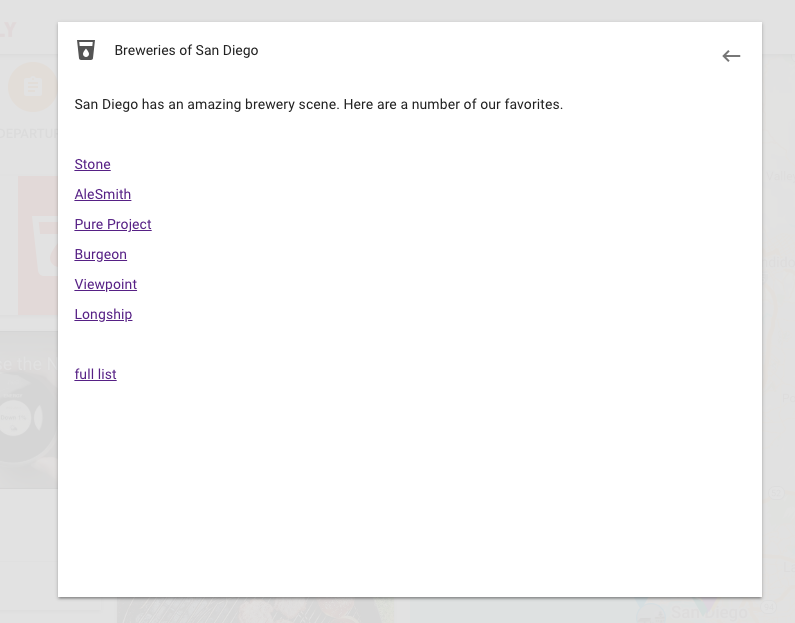 the link will appear but will be rendered with a "not-allowed" cursor and title text. Links to cards that are not assigned to the current guidebook will try to find the relevant section to link to at least. a link to a recommendation that is not on the guidebook being viewed will try to show the appropriate recommendation category, etc.